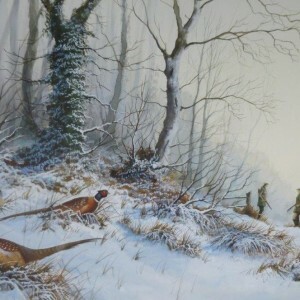 S F Clarke (Sid) was an accomplished and also a compassionate artist who gave priority to the conservation and well being of the land and its wildlife, he therefore found enjoyment and satisfaction in creating oils and watercolours which now give lasting pleasure for so many of his collectors. 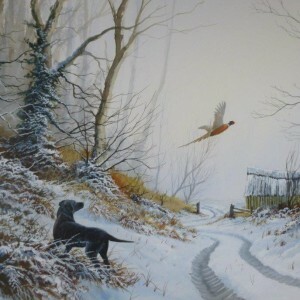 He began painting at an early age and was encouraged to develop his artistic gift by the well known “Bird” artist Roland Green. Born in the heart of the Norfolk Broads at Ludham in 1939, S F Clarke used to farm the land he loved to paint. Many of his scenes depict the countryside and waterways he knew so well and for which he has an affinity. 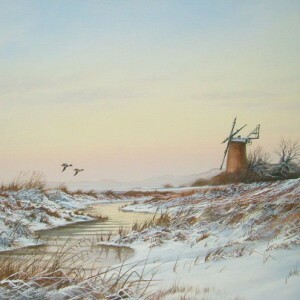 Regarded with high esteem as the “Broadland Artist” his paintings have captured the unique flavour of Norfolk – rustic mills and cottages, frozen dykes, wherries, windswept reed beds, winter pheasants and the beauty of the East Anglian sky. S F Clarke had many successful exhibitions which resulted in an ever increasing demand for his work. Queues would soon gather for the private views to be first in line to purchase the paintings. Examples of his work were bought by avid collectors and hang in Canada, USA, Uruguay, New Zealand, Australia and Europe, as well as many parts of the United Kingdom. S F Clarke died on the 25th February 2014 age 74 years.